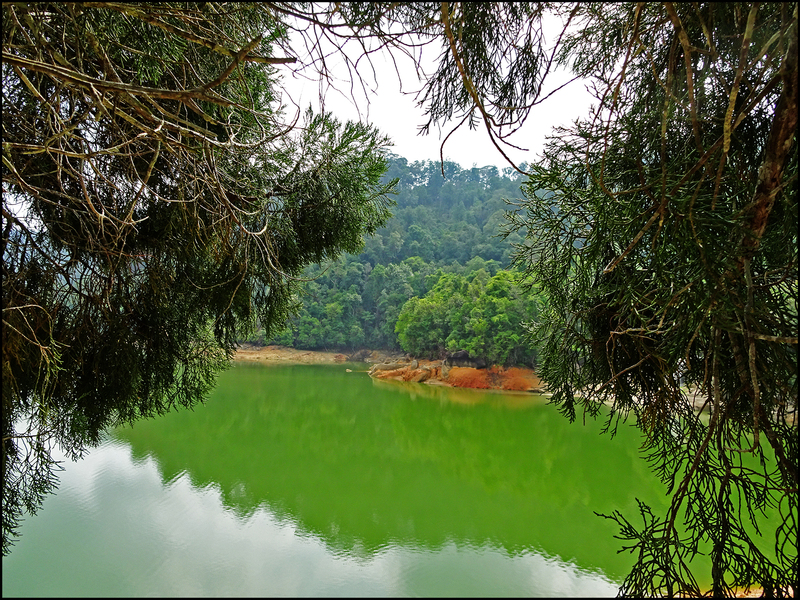 Locally known as ‘Frog Hill’, this hidden abandoned quarry has attracted many to its scenic man-made lakes and reddish granite hills, combined with greenery from the surrounding overgrowth. 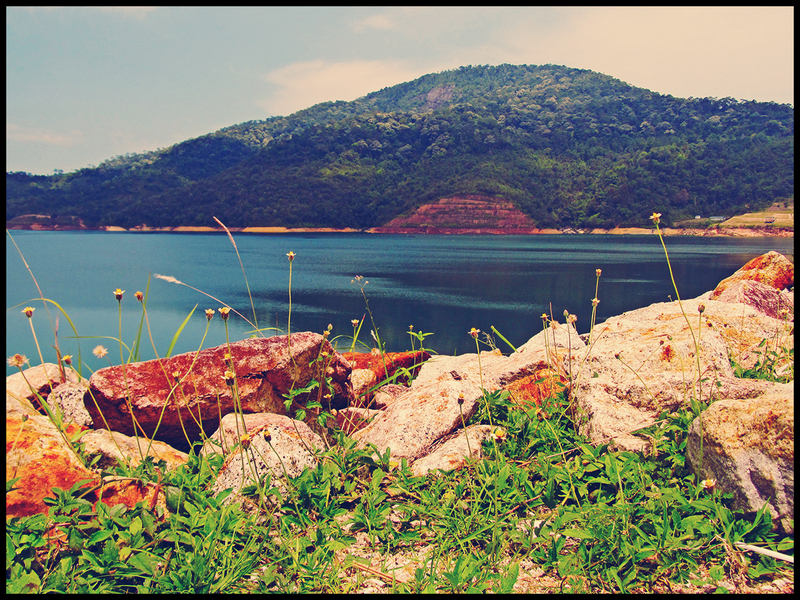 The top of the hill provides a breathtaking views of the scenic landscapes around the area. 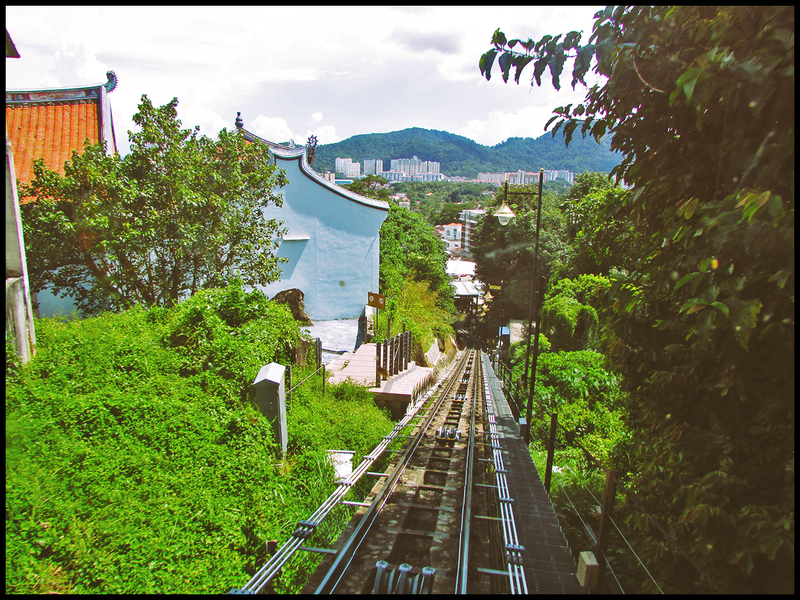 Frog Hill is located at an area covering Kampung Guar Petai and Kampung Guar Perahu in Tasek Gelugor, at the mainland side of Penang. 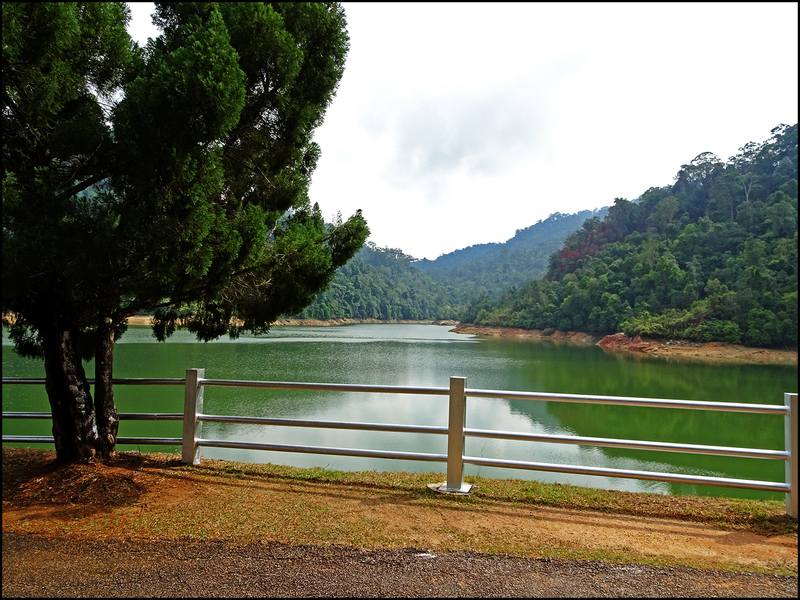 Note: The area itself is secluded and at times, quite empty. 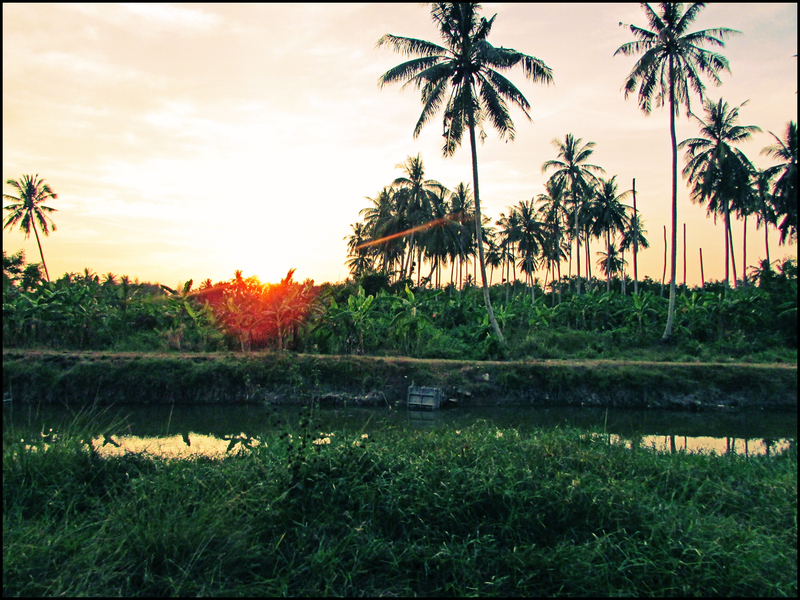 There is no maintained road (only muddy path), no street lamp and is deep inside the rural area, surrounded by palm oil plantation. Best to go in a group rather than alone, and there will be some minor hikes required to get to the top of the rocky hills. 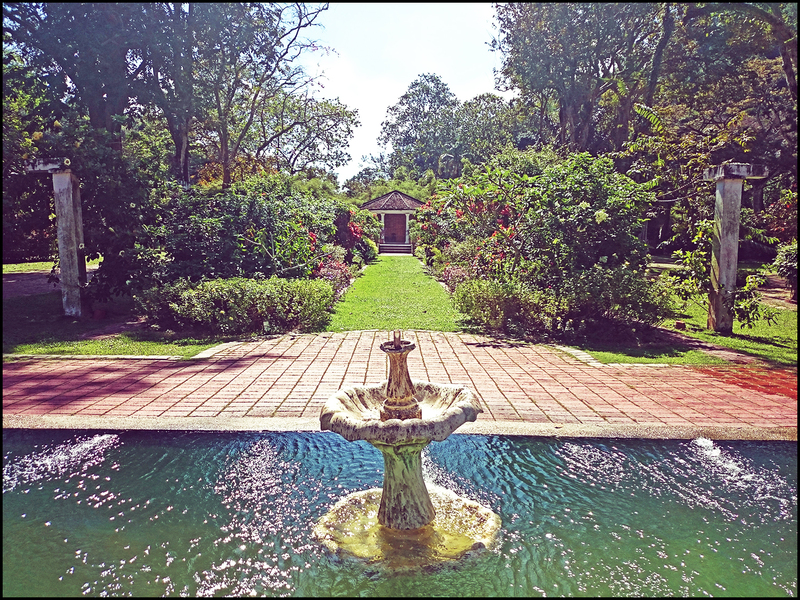 Beautiful greenery views of nature at the Penang Botanic Gardens. 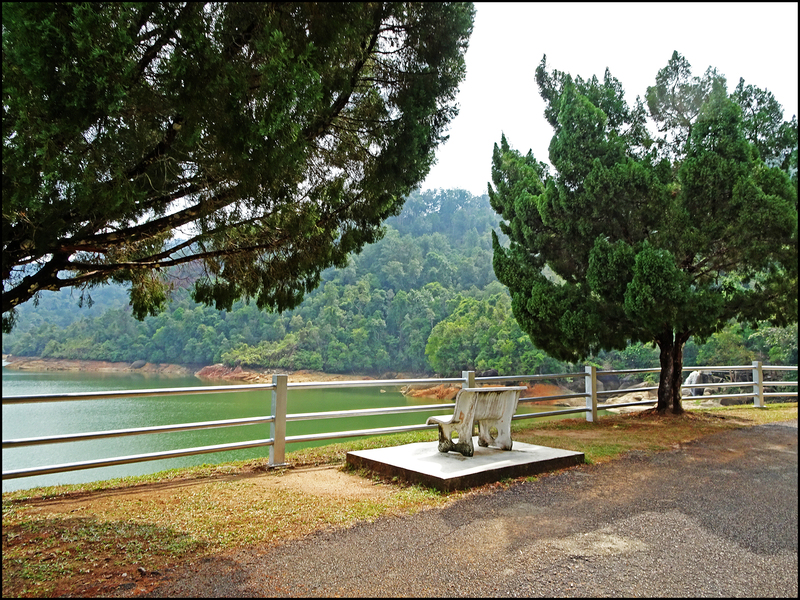 Beautiful and verdant landscape at the Ayer Itam Dam and Recreation Park, Penang. 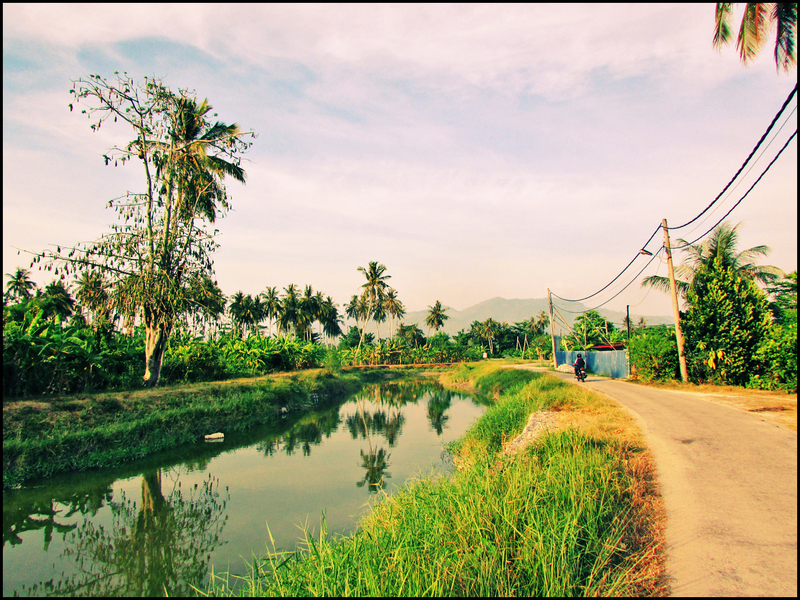 Sungai Burong or Sungai Burung is a stretch of river at the western coast of Balik Pulau, Penang. 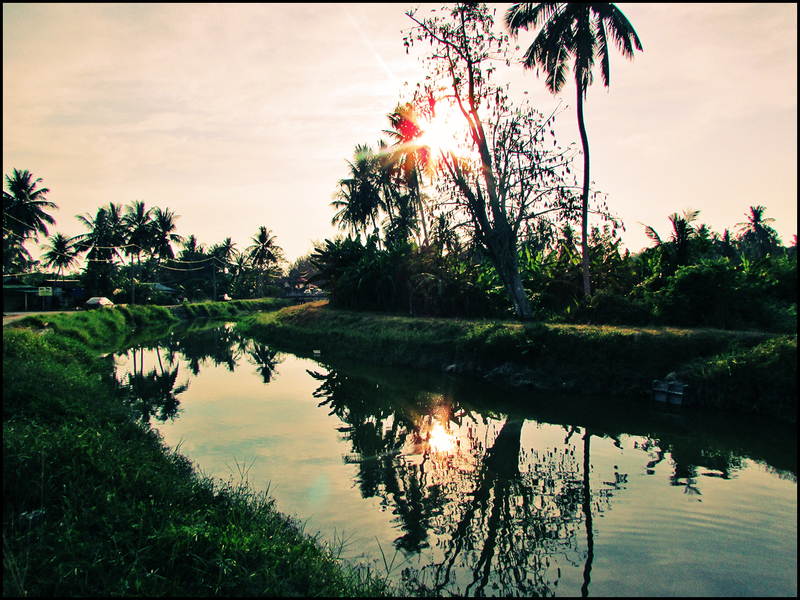 Beautiful view of the rural landscape can be seen on a stroll along the river. 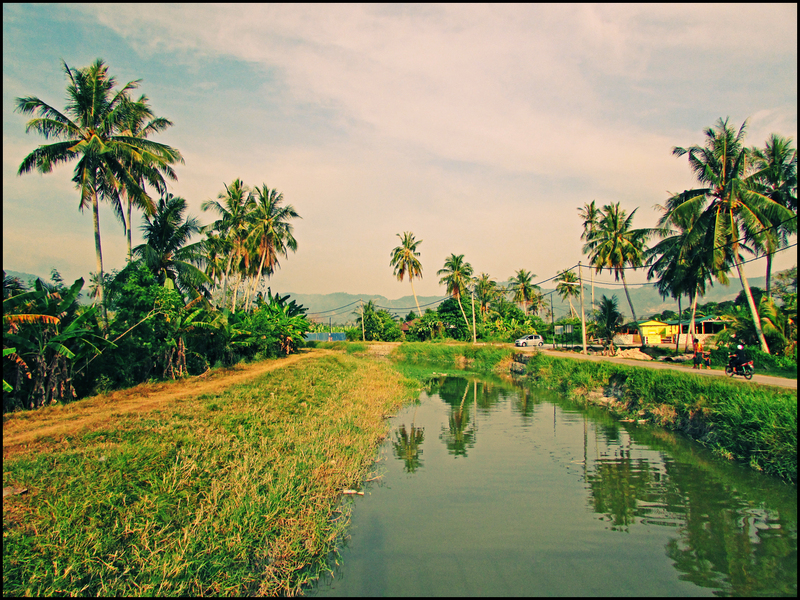 Paddy fields and rows of coconut trees lined up along the riverbank. 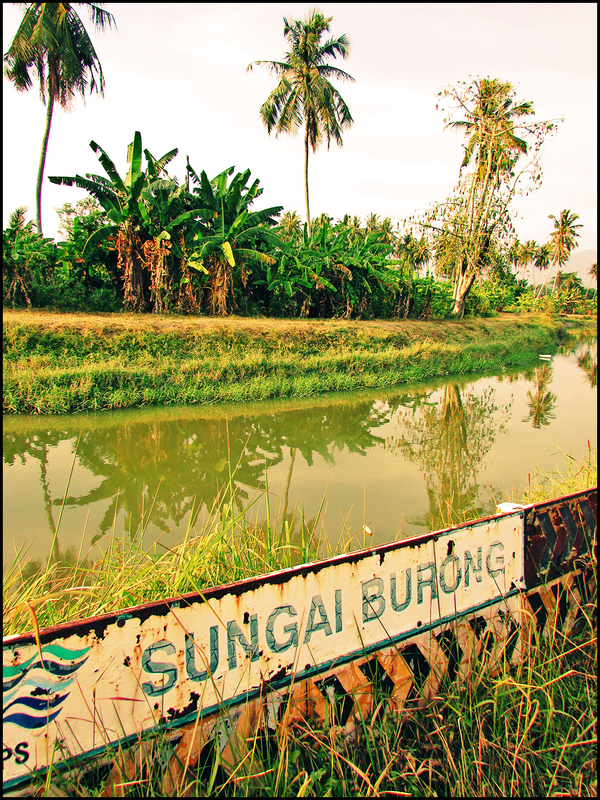 There is also a small village nearby named after the river, called Kampung Sungai Burung. 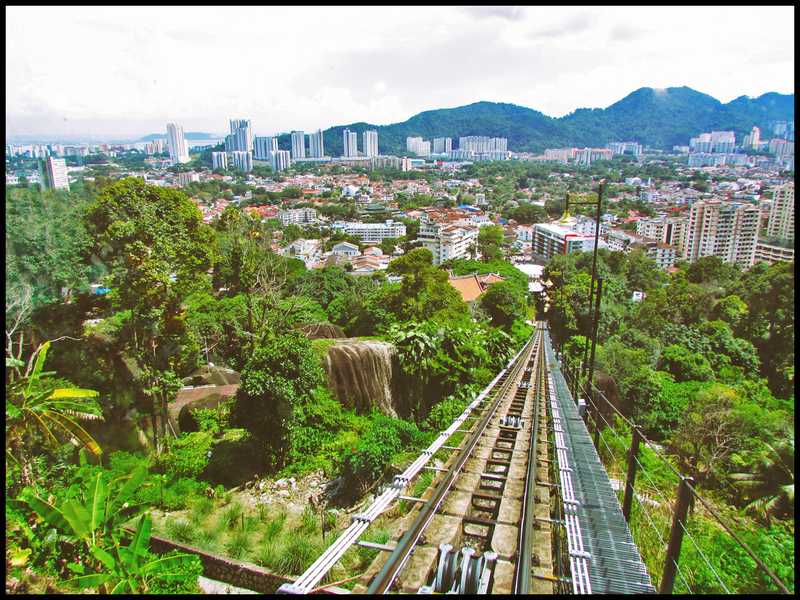 Breathtaking views from the inside of the funicular train while traveling along the railway up to the top of Penang Hill. 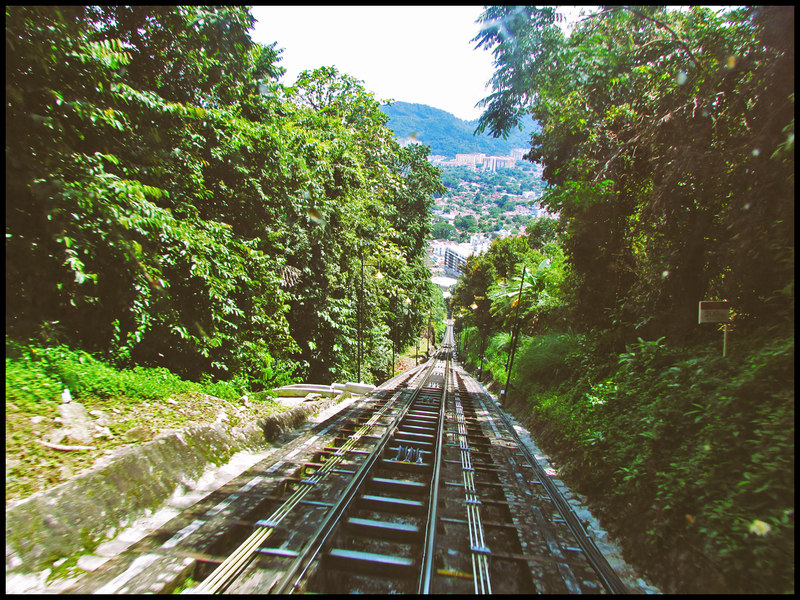 The new train now takes less than 30 minutes to reach the top station of the hill, and unlike the old train, it no longer stops at the middle station. 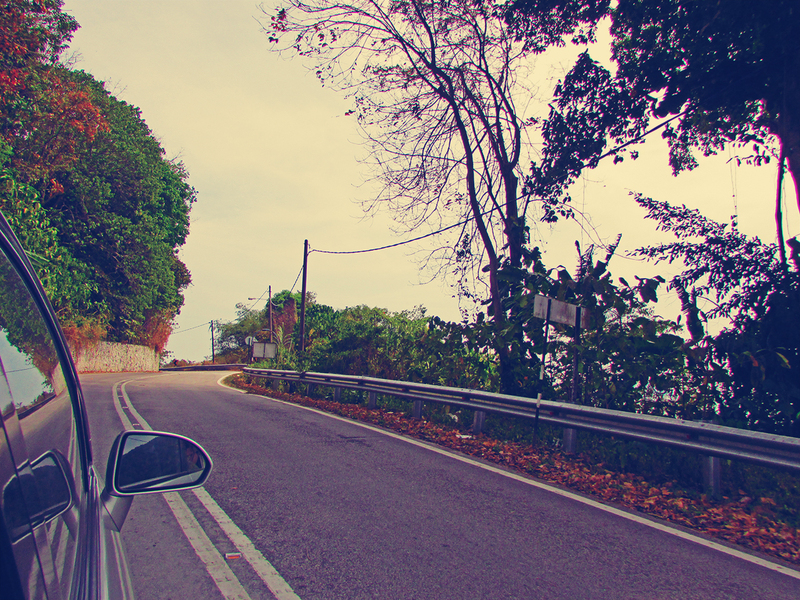 Scenic hill route is one of the many ways to circle round the island of Penang. 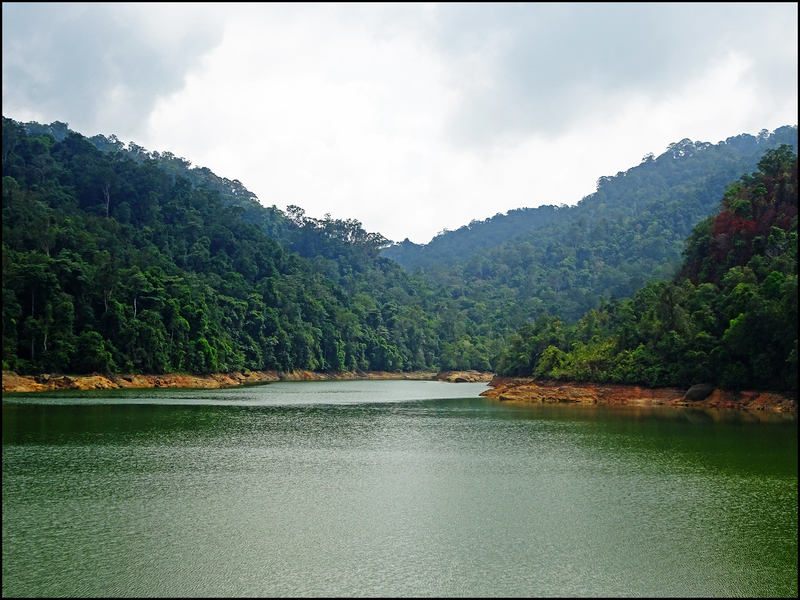 The Teluk Bahang dam or reservoir is located nearby to the Penang National Park with scenic surroundings. 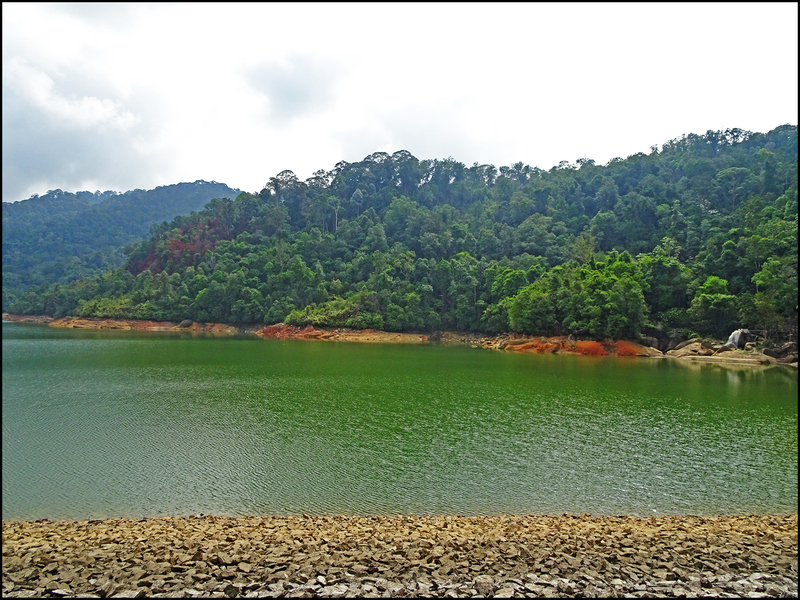 It also hosts the Penang International Dragon Boat Festival annually.